Hi friends! Today I am back with another fun DIY FriYay project! 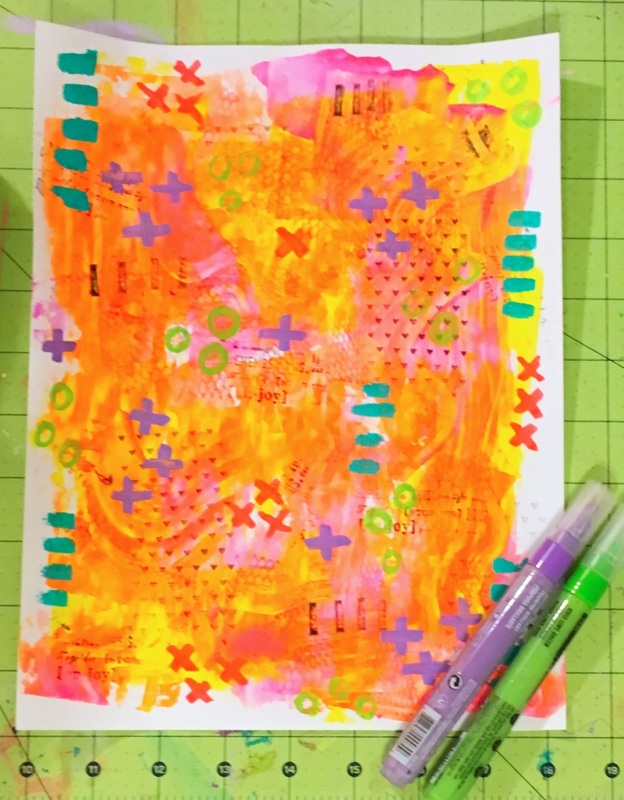 Today I am sharing my little process for making stickers for your Art Journal!! You can use them tons of other ways as well, I just know mine are waiting to make a home in my journal! I started with two kinds of sticker paper, one has little one inch circles and the other is shipping labels! You can go out and buy plain sticker paper but I figured I would just use what I had at home! On each page I started with three colors and just smeared the paint quickly with an old card! 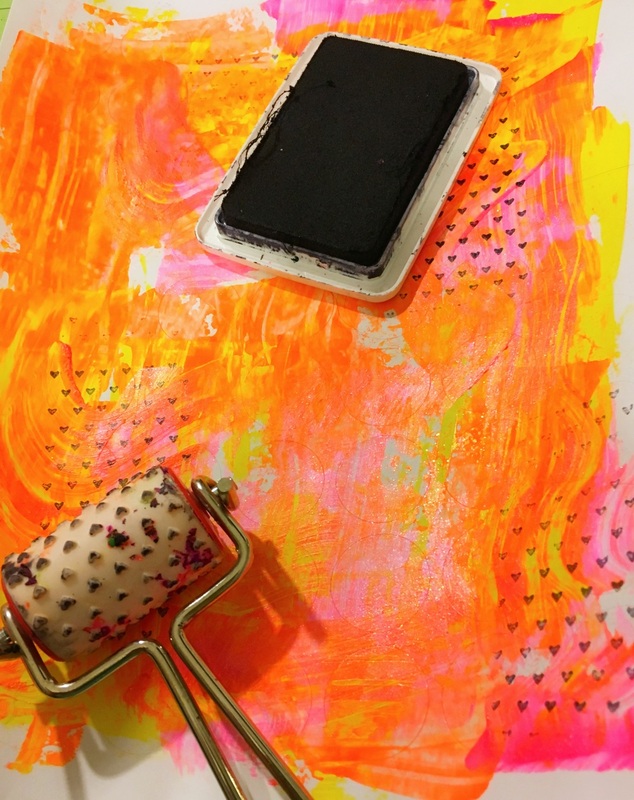 I added some black stamps, one is just a letter l stamp and the other is my favorite stamp roller! I then went through and added a variety of doodles with my paint markers and then finally just added white dashes to finish off this particular page. 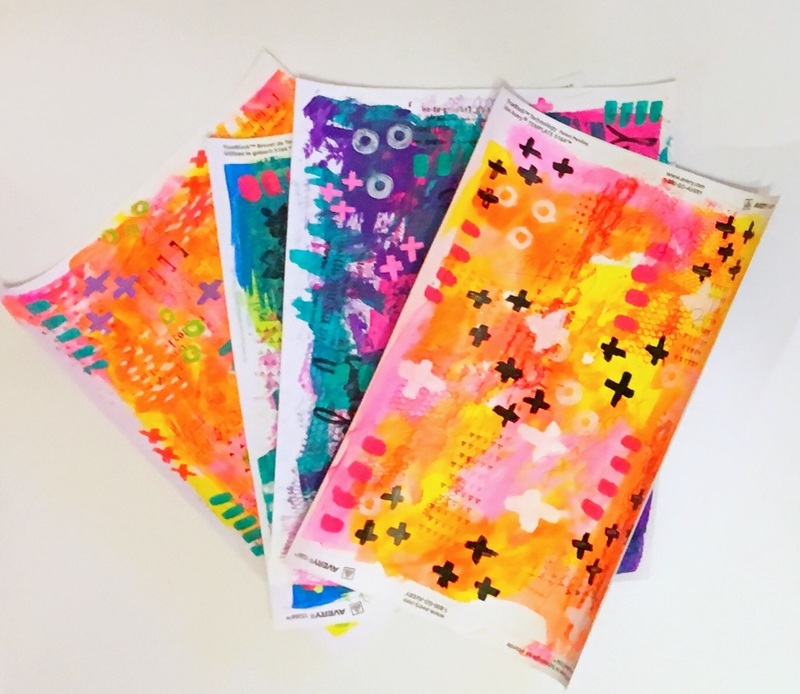 I made four different sheets and I love them all, they are all pretty much the same process, some have more stamping some have more doodles and some have random written words on them! I used my favorite punches and die cuts to make some different shapes! I think my favorite is the feathers! Then you can also see some of the circle stickers as well! Well friends that is all from me today! I hope you have a creative and crafty weekend! Until next time!! !